Okumu, Boscow and Edwin Muchapondwa. 2017. 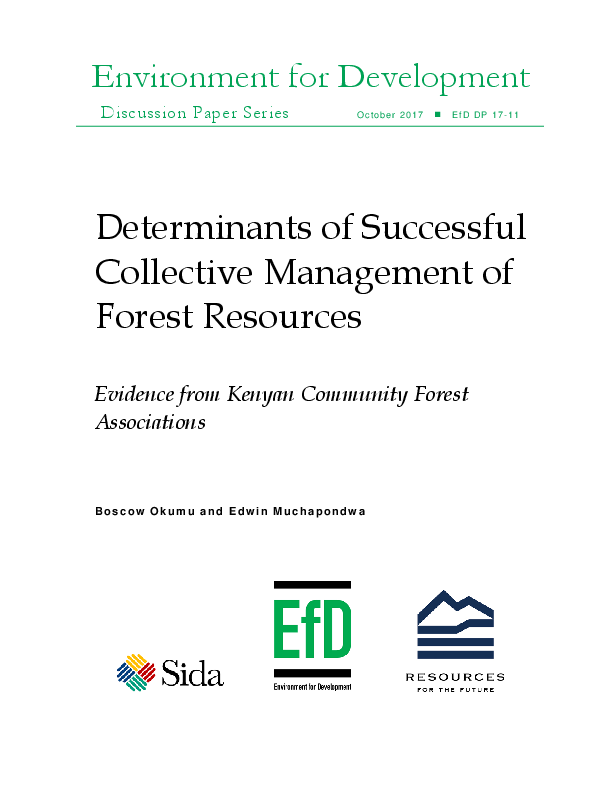 “Determinants of Successful Collective Management of Forest Resources: Evidence from Kenyan Community Forest Associations.” EfD Discussion Paper Series 17-11.